This term we have been studying ‘How can we live more sustainably’ in Geography. 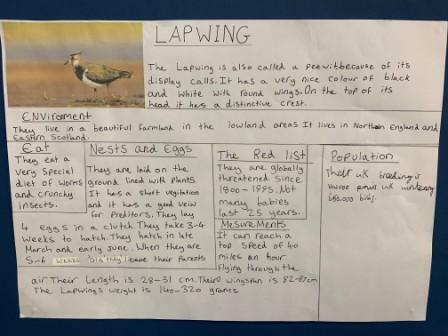 We have created our own interpretation panels on the Lapwing bird, which is currently on the RSPB red list. The children have looked at the kind of environment Lapwing’s prefer to nest in and how Exminster Marshes are supporting the breeding and nesting of these birds. 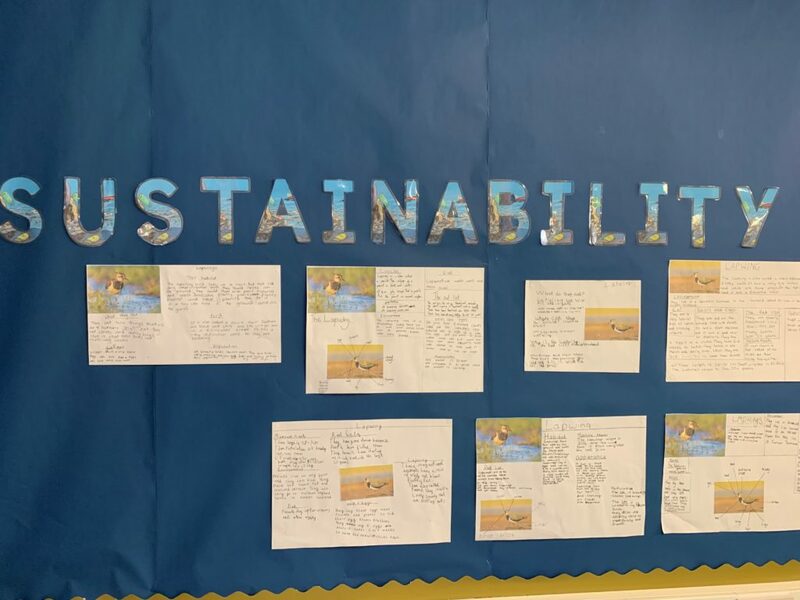 We are really looking forward to writing our own persuasive speeches in English on how we can live more sustainably and protect our oceans. How can we live more sustain-ably. Click here for more 4Mc photos!